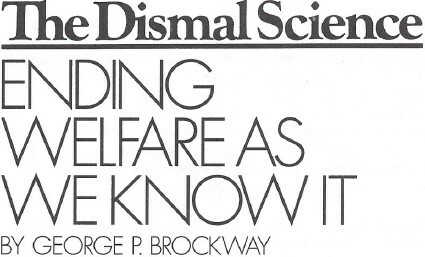 POLITICAL COMMENTATORS are practically unanimous in telling us that Candidate Bill Clinton’s most popular sound bite in his 1992 campaign was a pledge to “end welfare as we know it.” I don’t recall it that way. Welfare is certainly a part of the economy, stupid; but I doubt that many voters even know what “AFDC” stands for, let alone how it works. My suspicion is that the average middle-class citizen’s interest in the question is nothing more than a mean spirited irritation at anyone (especially anyone who is not a big-time operator) getting something for nothing. 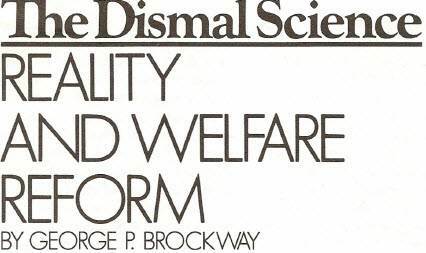 There are three things that especially interest me about the present welfare problem, and I’m going to tell you about all three of them. Senate on June 16. (A “less stringent” version of the bill had passed the House by 230 to 194 the previous December.) The New York Times ran the story in the lead column on the front page the next day-and almost immediately dropped it. If you search business papers and magazines of that time, you will find little or no reference to the event. I can’t tell you about TV coverage because I’m not a close student of the medium. I can, however, guess why the course of the bill through the Senate-House conference, the final passage by both houses, and its signature by President Reagan on October 7 attracted little attention. A tip-off is Reagan’s Budget Message of January 9, 1989, which includes funding for the Family Support Act but still reduces “welfare” by $800 million. A further tip-off is the fact that in the following two years 40 states froze or cut Aid to Families with Dependent Children, 11 cut emergency programs for the homeless, nine cut ordinary programs for the homeless, and 24 froze or cut programs for the elderly, blind or disabled. All this happened without causing any public uproar. No one gave a damn one way or the other. I mention all this because, so far as I can make out, President Clinton’s end to welfare as we know it is the same as Senator Moynihan’s Family Support Act of 1988. Both make a fuss about tracking down “deadbeat dads”; both make a fuss about training welfare mothers for private sector jobs; and both propose to shove people off welfare and into workfare in two years, more or less. It therefore seemed to me it might be helpful to know how the 1988 Act has worked. Well, I’m not paid to be an investigative reporter, but I tried. A full half hour on hold at the Department of Health and Human Services didn’t even console me with Muzak. Two letters to Senator Moynihan have gone unanswered. An appeal to his press secretary produced a sheaf of papers about the provisions of the 1988 Act, but nothing about its implementation or results. The Budget of the United States Government for Fiscal Year 1994 shows that in 1992 only about two-thirds of a $1 billion appropriation for payments to states with AFDC work programs was spent, and that the estimated outlays in 1993 and 1994 are about three fourths and five-sixths of the respective appropriations. Six years ago Senator Moynihan estimated that his plan would cost $3.34 billion over five years; so it would seem not to have been underfunded, at least on its own terms, but who knows whether it has done any good? Someone ought to answer that question before we end welfare as we know it all over again. Which brings me to my second point of interest. There exists a fully worked out plan that actually would end welfare as we know it, that would practically administer itself, that would begin to heal the suppurating wound in our society between the haves and the have-nots, and that would start to restore the self-respect of fellow citizens who have become entangled and degraded in our safety nets. Not only does the plan exist, it was for one shining moment a major plank in the platform of a leading candidate for the Presidency of the United States. The plan is the creation of Leonard Greene, an inventor who bubbles with three new ideas while he’s chatting with you. He’s president of Safe Flight Instrument Corporation, founder of the Institute for Socio-Economic Studies, leader in a fistful of social welfare activities, and author of a book I’m proud to have published titled Free Enterprise Without Poverty. Greene devised his plan in answer to a problem he ran into in his business. In the course of his civic work he had met and hired a bright and eager young black. The young man was a fast learner and seemed to have a rosy future, when one day, without warning or explanation, he quit. Greene sought him out at home and discovered that his wages, together with his mother’s Social Security and some AFDC payments for younger siblings, would make them too rich for their public housing and Medicaid and AFDC money, but would be far from enough to make up for what they would lose. “Welfare as we know it” would make it smart for him to leave home or not to work. Greene found it easy to collect scores of similar cases. Greene’s reaction was to figure out how the law could be changed. His solution was beautiful in its simplicity, its comprehensiveness, its practicality, and its fairness. First, each person would take all his or her existing entitlements or transfer payments and put them in one pot. Those that were “in kind” (food stamps,Medicaid, public housing, and so on) would each be assigned a standard cash value that would be added to the cash received from Social Security and other transfer payments. Second, every citizen, from Ross Perot to the bag lady on the comer, would receive what Greene gave the unfortunate name of a “Demogrant,” which is a sort of guaranteed income similar to what Milton Friedman calls a negative income tax. In most cases this would be a bookkeeping transaction; no money would actually change hands. Third, all of the foregoing would be added together and taxed at progressive rates, starting, of course, very much higher than the rates do today. In general, none of the poor not now subject to Federal Income Tax would be taxed under Greene’s plan. But Greene’s excellent young man could accept a good job, paying the applicable income tax, without compromising his family’s public housing. Most important, the hurdles now erected between underclass poverty and full membership in the commonwealth would be removed. The course would still be far from the level playing field demanded by the Wall Street Journal for speculators; but it would at least be a smooth upward path, and reasonably diligent young people could hope to do reasonably well on it. I REMEMBER (more clearly than I remember talk about welfare reform) that hope was a steady theme in Clinton’s campaign message. As long as the inhabitants of the inner cities and the rural slums are without hope, we have no hope of solving the problems they make for society as a whole as well as for themselves. Conrad had it right: “Woe unto him who has not learned while young to love, to hope, and to put his trust in life.” The same woe threatens a nation. Obviously, there would be complications in the Greene plan, especially as old plans were phased out and the new one was phased in. Yet work would not be discouraged, families would not be broken up, and everyone would be on the same scale as everyone else. Needless to say, the plan would not be without costs. Greene would cover them with a value added tax-but that’s another question. As I’ve said, the plan once seemed a political possibility. Leonard Greene had George McGovern‘s ear. They were so close that Greene flew McGovern in his private plane to file for entry in the New Hampshire primary of 1972. McGovern carried the Greene plan into the primaries, where he had trouble getting it across. The press made fun of “Demogrants,” which sounded like the grunting of Democratic candidates. 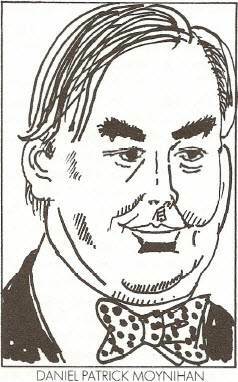 Hubert Humphrey, I’m sorry to say, charged that the negative income tax was a gift to the rich. By the time of the California primary the Greene plan had come to seem a handicap. McGovern renounced it and never mentioned it again. On reflection, I have concluded that the plan was too sensible, too simple, too practical. We Americans pride ourselves on our down-to-earth pragmatism, just as the French pride themselves on their rationality and the Indians on their spirituality. We are the most theory-driven people on earth, however, constantly prattling about market discipline and other such nonsense. And there is what the literary critics call a dark side to the issue: Everyone knows that blacks are disproportionately represented among recipients of the present welfare benefits. For a shamefully large number of us, welfare as we know it can be improved only by slashing it to ribbons. Finally, there is the third thing I mentioned at the beginning. This is the notion that welfare recipients are to be given two years of job training and then pushed out into the labor market, where they will help us compete in the new global village. Six years ago, when the Family Support Act was passed, I thought that was a nutty idea, and I still do. It is impracticable and it is vindictive. Moreover, it conflicts with the theory of a natural rate of unemployment (see “Are You Naturally Unemployed?” NL, August lO-24, 1992). Although accepted by every mainstream economist in the land, the theory is a nutty idea too. If you believe in it, you must believe it would be a disastrous mistake to get everyone off welfare and into regular employment, because the natural rate of unemployment would be violated and inflation would rage without limit. Indeed, the trouble is that if President Clinton actually begins to end welfare as we know it, the Federal Reserve Board will be theory-bound to raise the interest rate high enough to restart the recession and move those welfare mothers back among the naturally unemployed. I would like to see this conflict brought out into the open. THE GIVEAWAY of Senator Daniel Patrick Moynihan’s new Family Security Act -aka welfare reform – is its cost. I don’t mean that the cost is to be given away; I mean that the low cost betrays the modest ambitions of the bill. The estimated expenditure is $3.34 billion over five years. That’s $668 million a year, which may seem like a lot of money to you, but works out to $20.62 – exactly twenty dollars and sixty-two cents – for every man, woman and child living in poverty in the United States of America. Yes, I know that the plan isn’t intended to do anything about poverty, isn’t meant to help the working poor, isn’t supposed to shelter the homeless or nourish the ill-fed, has nothing to do with improving or expanding medical services. In fact, one of its charms for the radical Right is that it is expected to reduce expenditures for public housing, Food Stamps, Medicaid and Aid to Families with Dependent Children (AFDC). So let’s look at it this way: $668 million is 0.00015 – or 15 thousandths of 1 per cent-of the current GNP. Or this way: It’s about a third of the projected cost of the additional space shuttle they’re building. I’m sorry, but I’ve overstated the case a bit, for the $3.34 billion includes a “workfare” provision that will cost $900 million. This is one feature of the bill insisted on by President Reagan and feverish-eyed Republicans like Senator Orrin G. Hatch of Utah. Everyone else, including more liberal (if they don’t mind my using the word) Republican governors who will have to administer it, apparently hopes to repeal the provision either because of its negative cost effectiveness or because of its meanness. If that $900 million is deducted from the total, we have $2.44 billion left, or $488 million a year for everything the bill promises to do. The summaries given the press naturally accent the positive. They emphasize that a real effort is going to be made to force fathers to share in the support of their offspring. No one (except the fathers) can object to that, especially since it may persuade some to stay home with their families and thus prove rewarding all around. The summaries further emphasize education (not the same as workfare). You can’t object to that, either. We’ve heard about our illiteracy rate and our inability to do simple arithmetic and our ignorance of our government and of history. We know businessmen complain that they have to weary themselves with excessive interviews to find competent workers. And so on. It’s hard, therefore, to be against more education. It’s also hard to imagine that the puny budget will make much of a dent in the problem. For my part, I become depressed when I hear vocational education touted as a panacea. We must train these people to be punctual, we are told, and to work diligently and not goof off. Does anyone suppose they don’t know all that? It’s no secret. They’ve heard it all before, but they haven’t seen much good come of it. Few experiences can be more disillusioning and dispiriting than undergoing training for the kinds of jobs that don’t exist. Perhaps my long memory misleads me here, yet I recall the junior high school shop where I learned to solder Western Union splices and to thread separate black and white wires through clay pipes set in the joists and studs of a mocked-up house. I was astonished when, in the real world, I saw my first BX cable, and I remain skeptical of that sort of job training unless it is done on the job. I have had occasion to observe a couple of for-profit training schools in operation, too, and I really don’t think the answer is privatization. The solution is jobs. We’ve seen the solution in action – but again my long memory probably misleads me, for hardly a man seems to be alive who remembers the famous days and years of the New Deal. Everyone else knows that the New Deal failed. It taxed and taxed, and spent and spent, and elected and elected, and still, in 1939, on the eve of World War II, the unemployment rate was 17.2 per cent. As I have previously quoted Disraeli, there are lies, damned lies, and statistics; and I have yet to meet even a professor of economic history who is aware of how that 17.2 per cent lies. So I’ll tell you. It counts all the millions who worked for the CCC, NYA, WPA, and the rest of the so-called alphabet-soup agencies as unemployed. Now, the millions who worked for those agencies in fact worked and in fact produced goods for the common wealth, and were in fact paid for it. They built thousands of schools, libraries, post offices, hospitals, and dams; restored thousands of acres of forests; paved thousands of miles of highways and sidewalks; helped bring electricity to the farms; made a start on public housing; painted pictures; produced plays and concerts; published a set of state guidebooks that is still unequaled; and gave courses in every subject imaginable. If that was unemployment, we could stand a bit more of it. Nor would it be unbearable to have urban streets swept and suburban leaves raked. Everyone knows, of course, that this was impossibly expensive and wasteful. Yes, the last budget of Herbert Hoover’s Presidency (fiscal year 1933) was only $2.8 billion in deficit. And what was the last prewar New Deal deficit? $3.1 billion; ten per cent larger. To be sure, $300 million was a lot more in those days than it is at present. But the point is that enabling millions of people to contribute to the common weal and to maintain their self-respect cost only 10 per cent more than doing nothing. Which approach was the really wasteful one? Moreover, our wartime experience demonstrates that the so-called First New Deal would have been a lot more successful if it had spent more, not less. 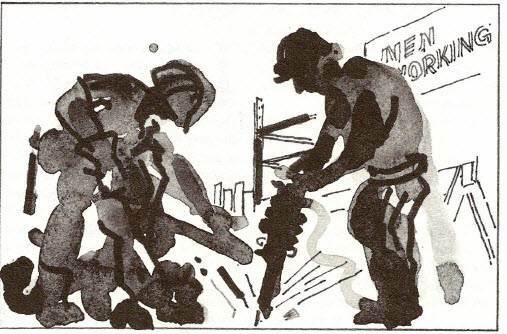 INSTEAD of the creative programs of the New Deal, the new scheme has its workfare, something Ronald Reagan wishes to be remembered for. He deserves to get his wish. The requirement is that by 1994, one parent in every two-parent family (an institution the bill is supposed to be encouraging) that receives benefits must be made to work at least 16 hours a week in what is grandly known as the Community Work Experience Program. What will they be paid for this work? Zero. Well, you know, beggars can’t be choosers. Since this provision does not take effect until 1994, it is a fair guess that New York’s Democratic Senator Moynihan, among others, intends to try to repeal it after the Great Veto Threatener leaves the White House. This is a judgment call with which I beg to differ. 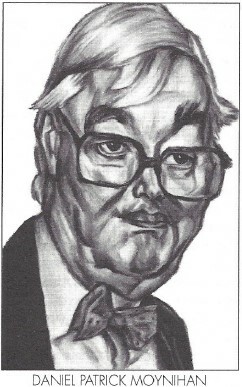 It brings to mind Moynihan’s first attempt at welfare reform which came when he was Richard M. Nixon’s Domestic Affairs Adviser. The attempt was defeated by a combination of conservatives opposed to any form of welfare and liberals led by the late George Wiley of the National Welfare Rights Organization, who pointed out that the proposed benefits were lower than those then in effect. I had the pleasure and privilege of knowing George Wiley, who was a wise and humorous and dedicated man. He was well aware of Voltaire‘s dictum that the best is the enemy of the good, and he understood perfectly the argument that the benefits could be improved once the law was in place. He simply doubted that the improvements would ever come. The record supports his judgment. Over the past several years, for example, AFDC payments have lost a good third of their value because of inflation. The Pentagon gets budget boosts on top of generous estimates of inflation, but I’ve not noticed any rush to rectify the AFDC situation. As for the workfare amendment, it has already, in this Democratic Senate, survived by a 41-54 vote an attempt to table (and so defeat) it. Workfare should not be confused with what the sponsors of the Family Security Act consider its heart and sinews: JOBS (for Job Opportunities and Basic Skills. The republic would collapse without silly acronyms).The laudable aim of this program is to get people off the welfare rolls and into regular employment where they can be self-supporting and self-respecting. As I’ve said, I’m dubious about the training being offered. Anyway, after training the welfare recipients are supposed to get to work, and I don’t at all object to that. The regulations covering JOBS are moderately complicated, and some of them are not nice; but I want to talk about something more fundamental. Indeed, the newspapers and the airways are full of ominous questions right now: Will the Federal Reserve Board raise the interest rate again to head inflation off at the pass? Will that send the stock market into a tizzy? Will it abort our slowly recovering foreign trade? Will it make it harder to reduce the deficit? Will it make the mortgage rate so high that home ownership becomes an impossible dream even for two-earner Yuppies? Anyone who believes that mainstream economists know what they’re talking about will answer all those questions in the affirmative. Where does that leave us? It leaves us with a JOBS program that is a mirage or a hoax. Assuming we believe the unemployment figures, we already have too many people working for our own good. Even if the JOBS training program should succeed beyond all rational expectations, even if the trainees could then be successful in finding work that would not (one of the requirements) displace anyone already working, we would have to head them off at the pass. We couldn’t afford to have so few people unemployed. I AM NOT making any of this up. If you have merely glanced at journalistic reports of the thoughts of our mainstream economists, you may think that when they talk about 6 per cent of the work force being unemployable, they are saying all those millions are too little educated, too stupid, too sick, or too pregnant. That’s not exactly what they mean. They do classify many people under those headings, but they mean something else as well. They are speaking of friction in the economy – that is, time lost while workers are between jobs. Again there’s misunderstanding (and some of the economists even misunderstand themselves), for they make it sound as though there are several million people out there whimsically flitting from job to welfare to another job for no good reason. No doubt some such free spirits exist, and they will always be good for Presidential anecdotes; but the real friction results from business coming and going. It’s known as free enterprise. In 1987, something more than 60,000 corporations went bankrupt. Most of the bankruptcies were very small. Nevertheless, they totaled over $36 billion. That ain’t hay, and it accounts for a couple of million people thrown out of work. Then there are all the “efficient” mergers, which are efficient because they fire people. There is all the seasonal unemployment – clerks and warehousemen let go after the Christmas rush, farm workers between seasons, people laid off in model changeovers. There are all the customers’ men dropped after a market crash, and all those who lose their jobs when business temporarily slows, and those whose jobs disappear when their companies relocate for tax reasons – or in search of cheaper labor. The foregoing account for the 6 per cent friction in the economy. The friction is not the fault of the workers; it is the fault of the system and its ethics. And the system is not a fact of nature; it is our creation. We created it in the image of mainstream economics, and the result is not altogether pretty. The thing about mainstream economics is that it starts with the price system as given. The price system is not simply what the stickers read in the supermarkets or how the bidding goes in the grain pit in Chicago. It includes all prices, interest rates, rents – the works – and particularly and especially wage and salary scales. Mainstream economics assumes that the way the rewards of the economy are distributed is none of its business. Our present price system will be relatively stable so long as there are 6 per cent unemployed or underemployed. This is not quite like Marx’ industrial reserve army, because the important point is that these people must be drastically under rewarded, whether they work or not, and that the next 10-15 per cent above them can’t be treated much better (the average income of the bottom quintile of our families is below the poverty level). Under our present price system, anything substantial you do for those at the bottom has to cause inflation. Other things can cause inflation, too, but really helping the poor is sure to do so. The only noninflationary way of helping the poor entails fundamentally changing the price system, specifically and dramatically narrowing the chasm between rich and poor. For the past 15 years we have been passing by on the other side (see “The Golden Mean,” NL, November 2, 1987), and it will take a whole lot more than JOBS, as well as something a whole lot different, to change direction. THE NEW tax law is, by and large, a wonder. Wall Street evidently was excited by the revenue-raising aspects of it, but that euphoria is not likely to last. We’ll still have the highest unemployment and bankruptcy rates since the Great Depression, and we’ll still have the largest deficits in history. The market will churn; some people will take a whirlpool bath, and more important, most of the new money that the Fed is expected to relax into the economy will go into that churning market rather than into production or consumption. It takes a lot of money to float a record 455.1-million-share week like the one we had August 16-20. Nevertheless, the new tax law is a wonder, and Senator Robert Dole of Kansas is a wonder man. Among other things, as chairman of the Senate Finance Committee he demonstrated that lobbies can be licked. The double reverse he pulled on the restaurateurs was a beauty. They thought they had him stopped in his attempt to withhold taxes on waiters’ tips. But he had in his pocket the three-martini-lunch measure that got laughed to death when President Carter proposed it. In the nature of things, there are more people eating on expense accounts than there are waiters serving them. The waiters lost, and Bob Dole must have had a good chuckle. Other and more significant loopholes were narrowed. I would not have given a wooden nickel for the chance to withhold taxes on interest and dividends, especially with Walter Wriston of Citibank bleeding over the astronomical sums he claims it will cost his little depositors. Nor could I have imagined the registration of Treasury and municipal bonds, impeding what is certainly a significant amount of hanky-panky. Nor would I have expected that high rollers would be required to call attention to their questionable tax shelters. These are substantial reforms, and they’re expected to capture $21 billion of the $87 billion the IRS estimates the government was cheated out of in 1981 on legally acquired income. Joseph Pechman of the Brookings Institution and some others think the figure too high, but if you add in the cheating on state and local taxes, it will do well enough. Put it in perspective: Demagogues in high places love to make up anecdotes about welfare cheats, yet income tax cheating last year was more than 10 times [editor’s emphasis] the entire cost of the Aid to Families with Dependent Children program-the entire cost, including all the alleged graft and bungling. Even with the new law, there will remain $66 billion of cheating, and we’re going to hear a lot of talk about how much more effective it would be to simplify the tax law and just have a low, easy-to-understand, flat-rate tax. There are already several such schemes on the table. I can, nevertheless, see much virtue in simplification. I don’t know of a’ single deduction or exemption I’d not be happy to see go, but I’m a reasonable fellow and ready to compromise. If you’re unwilling to give up the “charity” deduction altogether, I’ll settle for one based on cash only. If you want to hold on to interest expense, I’ll agree if it’s only for a mortgage on one owner-occupied dwelling. As long as your federalism (new or old) makes for wildly various state and local taxing, I’ll go along with deduction of taxes paid. If you push me very hard, I’ll grudgingly assent to some slightly special treatment of long-term capital gains-provided you agree to define “long term” as at least 10 years. Although I’m a little tender on the subject of interest on municipal bonds (I have some laid away for my old age), I can imagine satisfactory solutions here, too. In short, if there’s a tide in favor of simplifying the income tax, let’s take it at the flood. It by no means follows that a flat rate is a desirable simplification. It’s all very well to dramatize the subject by saying that if there were no deductions or exemptions or tax shelters, the government’s needs would be covered by a flat rate of 16 per cent or whatever. Yet progressive tax rates are not hard to figure out, even without a pocket calculator. 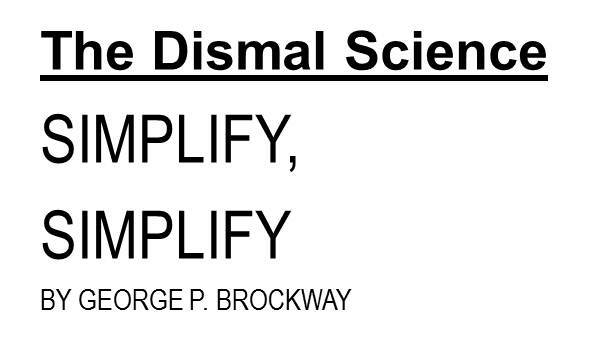 That’s not the kind of simplification we need. We can-and should-have progressive rates even after simplifying all the rest, and the progression should be steep, not at all like the 28 per cent maximum proposed by Senator Bill Bradley of New Jersey. There are two reasons for this, one broadly social, the other narrowly economic. The broad reason-which really should be conclusive-is among the many important issues examined in detail in a powerful new book by Wallace C. Peterson, Our Overloaded Economy (See Robert Lekachman’s review, “Challenging Corporate Efficiency,” NL, June 14 [pdf link below]). Peterson demonstrates the mischief caused in a democracy by such irrational spreads in income and wealth as we now tolerate. The narrower reason turns on the indirect inflationary effect of high salaries. The direct effect is of course minimal. The economy is so large that it doesn’t matter much whether the president of Mobil gets $1.5 million a year or twice that or half that. The indirect effect is enormous and pervasive. The second level of Mobil executives cannot be expected to make do with salaries too far below their chief’s, and the third level has to be not too far below them, and so on down to the level of the working stiffs, whose union observes all those dollars up the line and quite reasonably demands a penny or two for its members. Thus to the extent that pay scales are a factor in productivity, and that productivity is a factor in inflation, the top pay scales are a factor – not the only one, but highly significant – in inflation. If, as some say, take-home pay is what matters (this is what linguists might call the deep structure of the Laffer Curve), you would think that lower taxes would result in lower wage demands. The present law requires the president of Mobil to pay a tax of almost $750,000 on his $1.5 million salary. Under Dollar Bill Bradley’s scheme, the tax on $1.5 million would be something below $420,OOO-a windfall of $330,000. What would the president of Mobil then do? Would he work harder and make Montgomery Ward (conglomerated into Mobil at a loss) finally profitable and thus deserve even a higher salary? Since he probably works right now just as hard as he knows how, would he pocket the $330,000 with a grin on his face? Or would he insist on giving himself a pay cut to $1,041,658 (thus leaving his take-home pay at $750,000 and saving his stockholders and perhaps their customers-almost half a million? Well, I don’t even know the man’s name so I can’t tell what he’d do, and it may not be fair to single him out for all this attention. His $1.5 million is by no means the highest salary in the country. Last year, according to Mark Green (Winning Back America), there were at least 35 executives who took down a million or more, and even a dozen who made off with $2 million. The CEO of Cabot Corporation (not a household name in most households) led all the rest in the book of gold with $3.3 million for one year’s work. How this happy few would react when brought face to face with a tax cut, I have no idea. BUT I DO know what happened in the United States of America in a similar situation – when the maxitax of 50 per cent on earned income went into effect. Prior to that time, the tax went as high as 70 per cent, and I knew some people who paid it. The maxitax gave them a pretty plus. You might have expected – possibly some people really did expect – a nationwide reduction of executive salaries to hold their after-tax level more or less constant. What actually occurred was just the opposite – a great leap forward in executive salaries. When the tax was as high as 70 per cent, there possibly didn’t seem too much point to an extra hundred thousand; after the maxitax, a hundred got you fifty. That was more like it. In fact, it was better than the proportion of her earnings a working welfare mother was allowed to keep. Before the maxitax, it was suspected that the higher a man got, the more time he spent wheeling and dealing, setting up capital gains situations through stock options and mergers, and devising new and more imaginative perks. With the “reform,” you might have expected a renewed and intense devotion to business, resulting in the kind of increases in industry and productivity that only good, old-fashioned American hard work and no-nonsense management can produce. Again you would have been wrong. 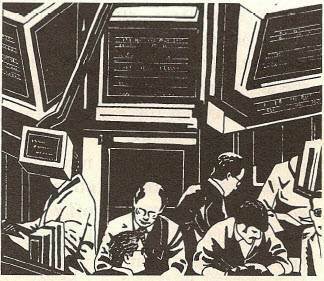 The sole industry stimulated by the maxitax was that of lawyers and accountants searching for tax shelters. After all, more executives had more to shelter. And perks expanded. Company limousines clogged the streets; company airplanes clogged the runways; and exhausted executives dried out (or not) in company suites at Sun Belt resorts. I myself have, over the years, had lunch four times at Lutece and twice at Four Seasons. It wouldn’t be hard to get used to. On the basis of the record, it is easy to guess what would happen if Senator Bradley’s 28 per cent maxitax-or worse, Senator Jesse Helms‘ flat 10 per cent tax were in effect. It is well to remember that the truly indecent American fortunes were gathered in when there was no income tax at all. A future danger in tax reform is that some men who think of themselves as liberals, and who are touted (or attacked) by the media as liberals are taken in by the supposed realism of a low flat tax. Liberals may need more realism; but whatever America needs, it is not more encouragement of the greed that no doubt lurks in all of us.